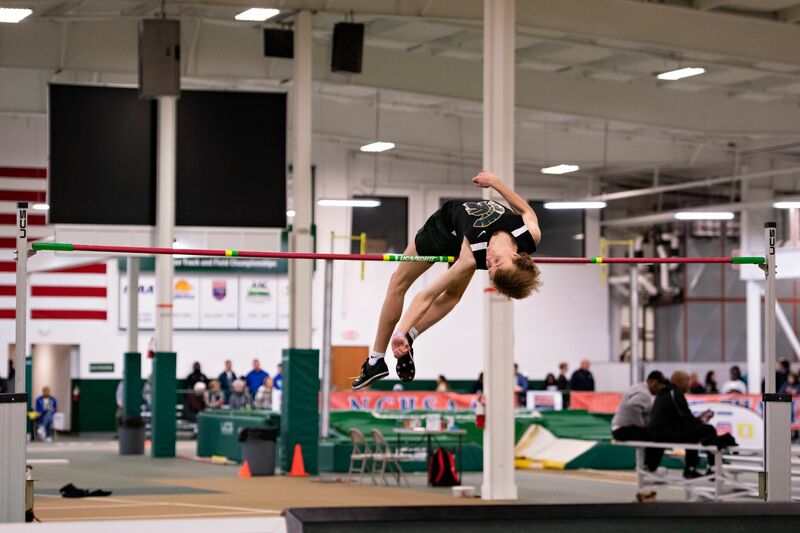 WINSTON-SALEM – Three track and field athletes from the South Fork 2A won state 1A-2A high school indoor championships on Saturday, and North Lincoln finished second in the boys’ standings. Burlington Cummings’ girls won a state title with 76 points, well ahead of second-place Lexington (43), and Croatan’s boys scored 80 points to finish ahead of North Lincoln (66). North Lincoln’s Jason Thomson won the 1,600-meter title and teammate Brian Risse won the 1,000-meter, while Bandys finished 13th in the team standings with Alex Reavis taking home a state title in the high jump. Thomson finished the 1,600 in four minutes, 21.11 seconds — setting a state record in the event — at the JDL Fast Track and Risse closed the 1,000 in 2:46.54. Reavis’ jump of 6-8 won the high jump. Top five team scores: 1. Croatan 80; 2. N. LINCOLN 66; 3. Ashe County 30; 4. Kinston 26; 5. W. Stokes 25.